A couple of months ago, I went camping alone, totally isolated somewhere in the middle of Pennsylvania. Dirt roads, no signal, completely in the dark. I thought it would be a cool spiritual experience – it was not. Instead of the perfect night’s sleep I had hoped for, I laid awake for hours. The sound of every falling leaf reminded me that I was alone, causing my imagination to devise ridiculous scenarios of what I assumed was an inevitable demise at the hands of a bear, a murderer, or some other unlikely adversary. I was terrified, and as soon as morning came, I scrambled back to civilization. Scripture talks about the wilderness a lot, and this is how I picture it: alienated from society, totally vulnerable, and constantly on edge. But you don’t necessarily need to travel very far for this kind of experience. For some of us, the wilderness is right here in our city, our homes, and our everyday lives. And regardless of where we find it, we all know that this is a world that’s deeply broken and in need of redemption. Long before Christ was born, God spoke words of comfort to the Israelites through the ancient prophet Isaiah, assuring them that a messiah would one day come to rule and to serve them in a glorified world, where valleys rise high and mountains bow low. But they’d need to get ready – in the wilderness, they’d need to prepare the way for this coming Lord. This calling is so interesting, because it reminds us that the world’s restoration begins in a scary, wild place. Over and over again, God meets people where they are, plunging into our reality in visceral ways. Rather than mightily storming into the world, God’s presence is often quiet and ordinary, and settled in unexpected places. And this presence is not passive. God does not simply arrive and get to work, but invites people to prepare the way. These old words were meant for God’s people, but they continue to ring true for us today. While we wait for our savior to make our world new, we are called to enter into our own wilderness and prepare it for this coming glory. 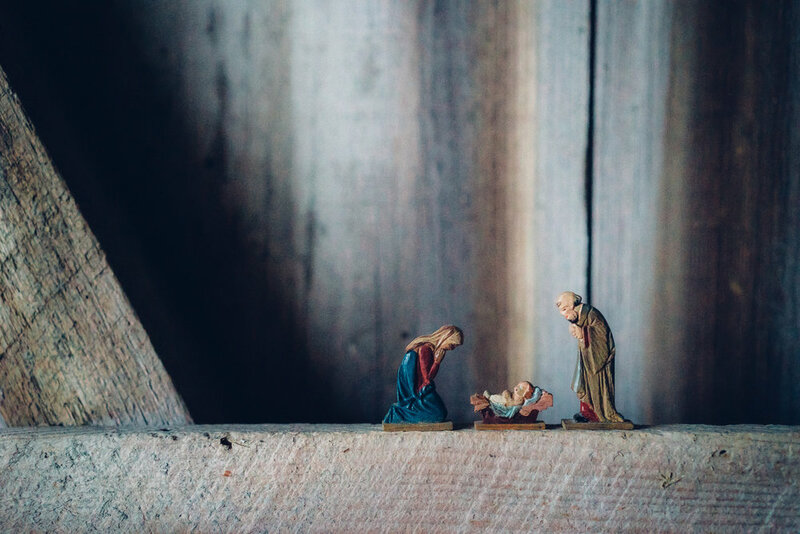 The good news of Advent is that it compels us to be present in our world. It invites us to look at all the real things and to acknowledge that they are God’s. It asks us to truly look at our neighbors and ourselves and love them anyway. It calls us into the wilderness, wherever that is or however scary that may be. And Advent calls us to act: to try to make the real things better, to create a good home for our neighbors, to sanctify ourselves, and to prepare the wilderness for our coming Lord.